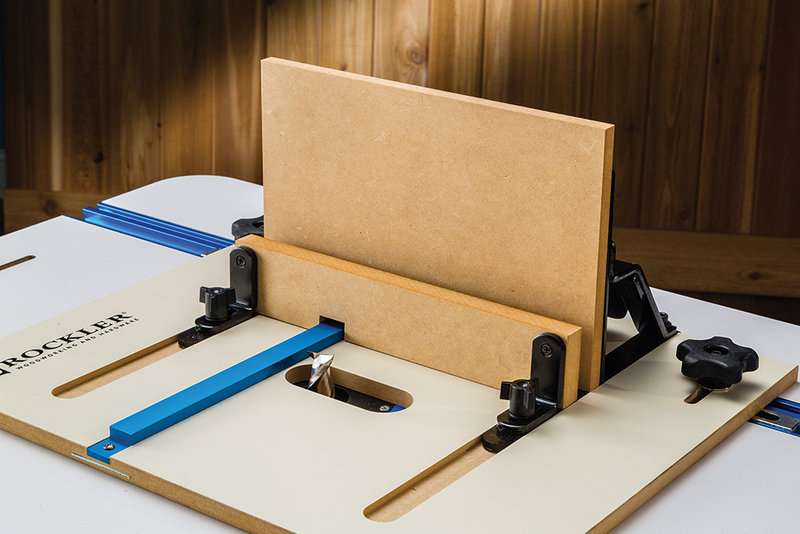 Rockler Woodworking and Hardware has added a larger version of their Router Table Box Joint Jig to their product selection. The new XL Box Joint Jig allows do-it-yourselfers to use stock lumber for making large projects such as toy boxes, clothing chests and storage trunks with consistently machined finger joints that are both precisely constructed and decorative in appearance. 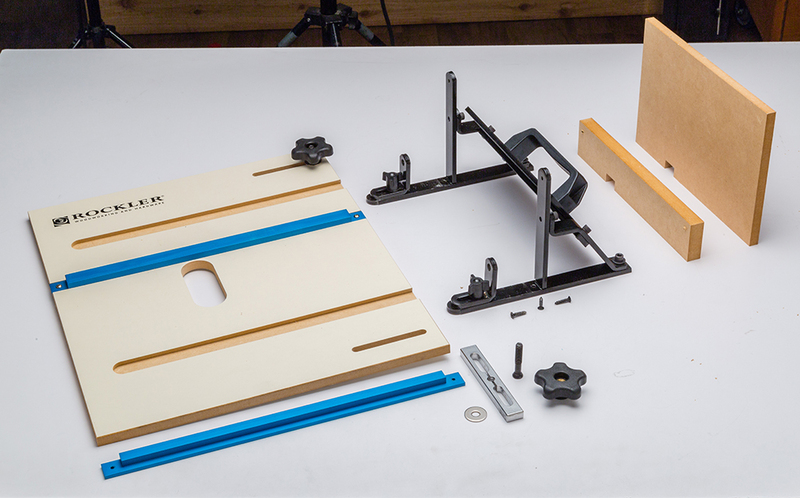 The new XL Box Joint Jig allows DIYers to use stock lumber for large projects such as toy boxes, clothing chests and storage trunks. This jig helps control large pieces of lumber that are otherwise unwieldy, resulting in tight-fitting box joints which look beautiful on finished cases, boxes and chests. new XL Router Table Box Joint Jig constructs 1/2" and 3/4" box joints on the router table, which is a step up in size from the original. 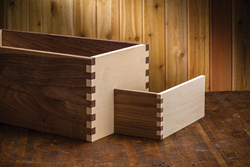 The new XL Box Joint Jig allows do-it-yourselfers to use stock lumber to make large projects such as toy boxes, clothing chests and storage trunks with consistently machined finger joints that are both precisely constructed and decorative in appearance. Making large box joints requires a stable jig that can be tightly secured to the router table, and the XL Box Joint Jig meets both of those needs. The jig features a steel sled which holds the workpiece between two sacrificial boards and an MDF base that is secured to the the router table with two metal bars that are tightened down in the miter track with five-star knobs. A large handle on the rear of the jig sled allows the user to easily control the feed rate of the stock. 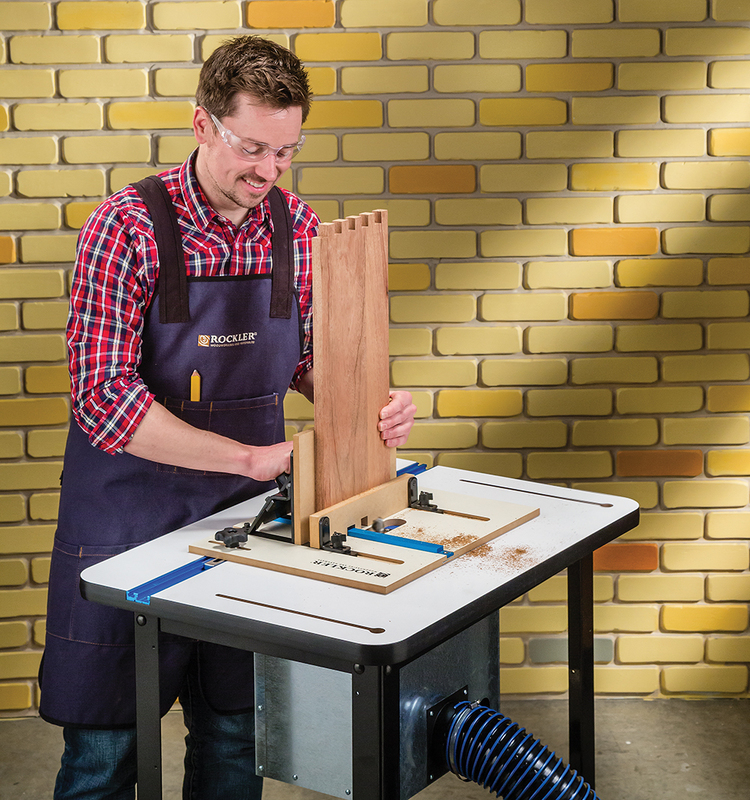 "The XL Box Joint Jig makes precise box joints for large casework much easier," says Steve Krohmer, Rockler's vice president of product marketing and strategy. "This jig helps control large pieces of lumber that are otherwise unwieldy, resulting in tight-fitting box joints which look beautiful on finished cases, boxes and chests." 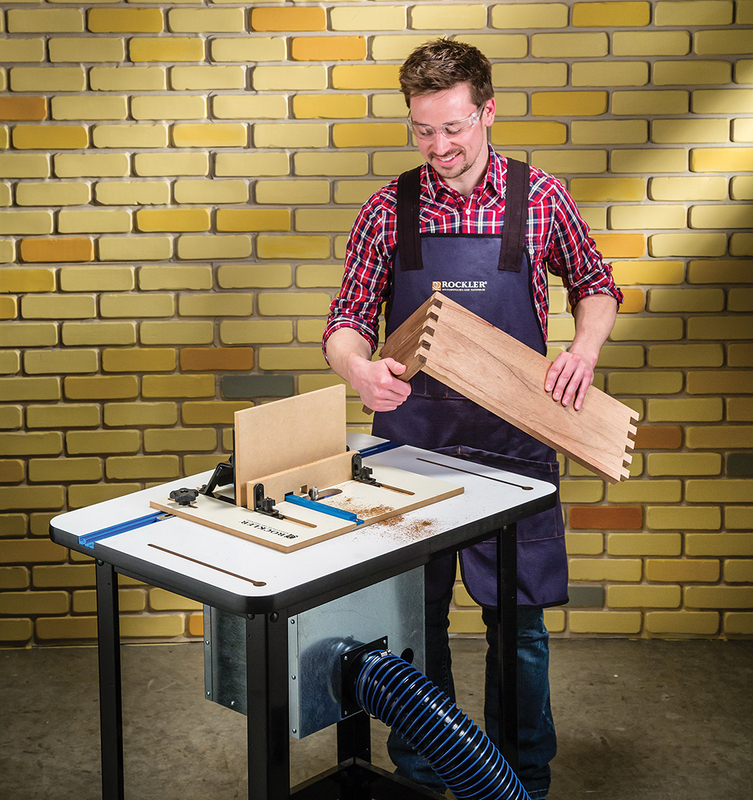 The XL Router Table Box Joint Jig joins the previously introduced Router Table Box Joint Jig in the Rockler product selection. The XL Router Table Box Joint Jig (50322) is priced at $134.99. For machining and assembling 3/4" box joints, Rockler also carries a 3/4" Spiral Upcut Bit (57813, $59.99) and 3/4" Box Joint Cauls 4-Pack (51105, $12.99), both sold separately and listed below. All products in this release can be purchased at Rockler Woodworking and Hardware stores nationwide, Rockler.com, or from the Rockler catalog. For store locations or a free catalog, please visit http://www.rockler.com or call 1-877-ROCKLER. Celebrating its 61st year as a family-run business, Rockler Woodworking and Hardware is the nation’s premier supplier of specialty hardware, tools, lumber and other high quality woodworking and do-it-yourself products. Rockler has 29 retail locations in AZ, CA, CO, GA, IL, IN, MA, ME, MI, MN, MO, NH, NY, OH, OR, PA, TX, WA, and WI, as well as extensive catalog and internet operations.